When in City of Nawabs you ought to be exploring Lucknow in style. The royal ride in Old Lucknow is quite famous. 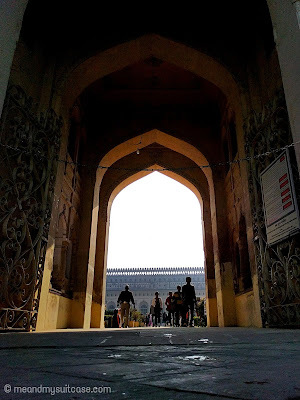 Right outside the gates of Bada Imambara you can see many Tongas ready to take you through Imambaras, Rumi Darwaaza, Clock Tower, Satkhanda and Old Chowk. Tonga is a single horse driven cart which runs on 2 big wheels and can carry 4-5 passengers at a time. The said trip will cost you mere Rs.60 for 45 to 60 min. Over the period of time the number of Tongas has diminished so it is better that you enjoy it while it's still in existence. It indeed is an experience in itself. Right from the front gates of Bada Imambara we started our ride along the wide Hussainabad road of Old Lucknow. Passing through the Rumi Darwaaza (Gate) we first went to the Chikan Karkhana (Chikan work factory. Chikan is a traditional embroidery style which is believed to be introduced by Nur Jahan. 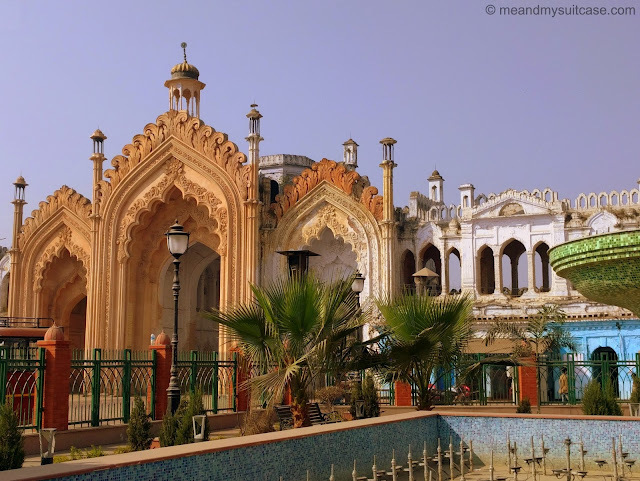 Lucknow is suppose to be the origin of this work and main market is Chowk) then the Clock Tower, Sathkhanda and finally Chota Imambara. 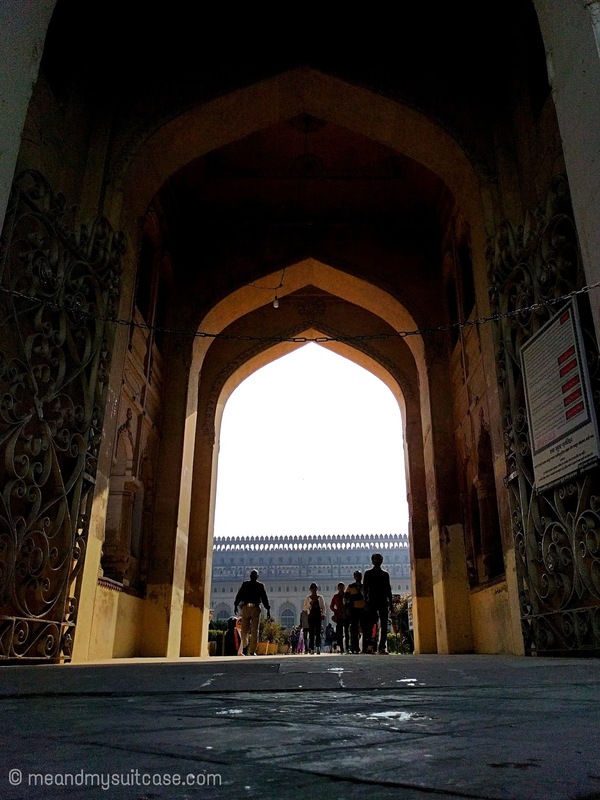 Constructed in 1784 under the patronage of Nawab Asaf-Ud-dowlah, Rumi Dawaaza in an example of brilliant Awadhi architecture though it sometimes' also called as Turkish Gate or the Roman Gate for it resembles the gateway of ancient Constantinople (modern day Istanbul). It is 60 feet high and has octagonal umbrella shaped ceiling which can be accessed through staircase. With a lantern on top it shines whole night. One can watch its glory and praise this magnificent piece of work whole day and night. 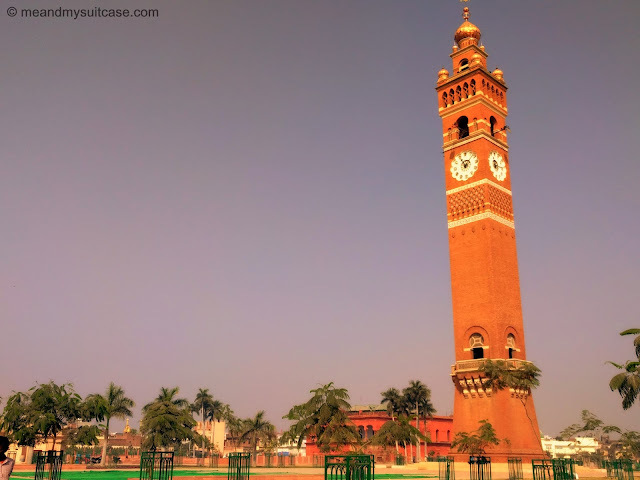 The Clock Tower was constructed by Nawab Nasir-Ud-din-Haider in the 1881 at a cost of Rs.1.75 Lakh. 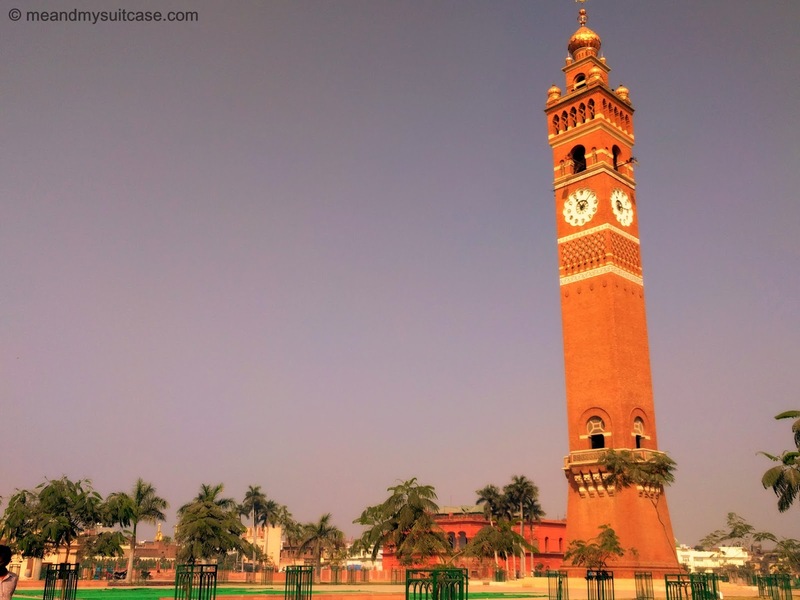 Also, called as Husainabad Clock Tower it is a replica of Big Ben Clock Tower of London. 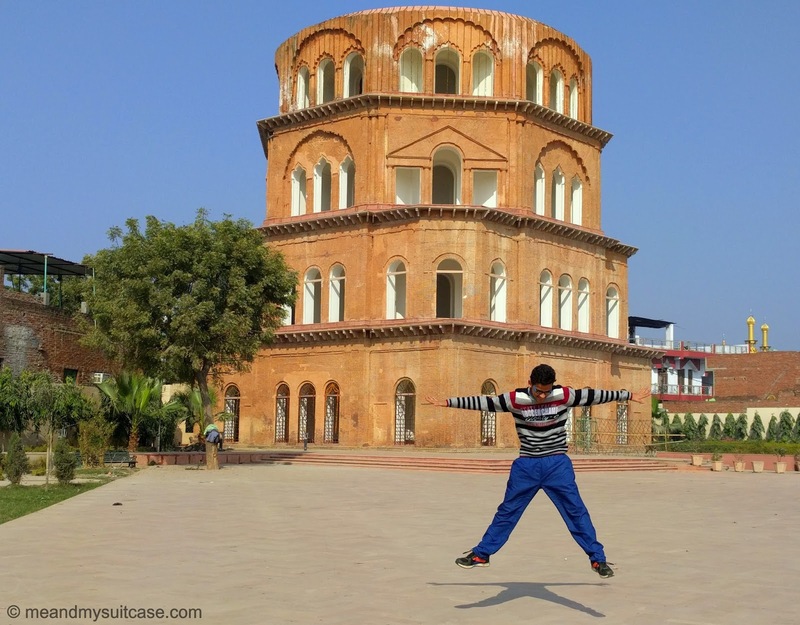 It is 67 metre tall and is the tallest clock tower in India. It reflects Gothic and Victorian architecture, a great job done by the constructors. Satkhanda literally means seven storeyed but this building is only four storeyed since the work was abandoned mid way. Nonetheless the design has been adopted from the Leaning Tower of Pisa' and is a blend of Greek and Islamic architectures. It was constructed by King Mohammad Ali Shah. Octagonal in shape it is around 35 feet and served as a watch tower for the king to have a bird's eye view of the Old Lucknow and the royal buildings. It has huge windows and doors and one can switch to different storeys using spiral staircase inside. Wish it was finished, I wonder how it would have looked then. Government of Uttar Pradesh shall look in to the matter and think about completing the project so that it doesn't remain just as a forgotten glory of Lucknow. A place of worship of Shia Muslims, it is more of a house of chandeliers and lights which houses tazia during muharram. On entering through the Naubat Khaana, the main gates, one can see hamaan (a royal bathing area) on the left followed by the mini taj mahal like structures on both sides which are actually the mausoleum of Muhammad Ali Shah himself and his mother. 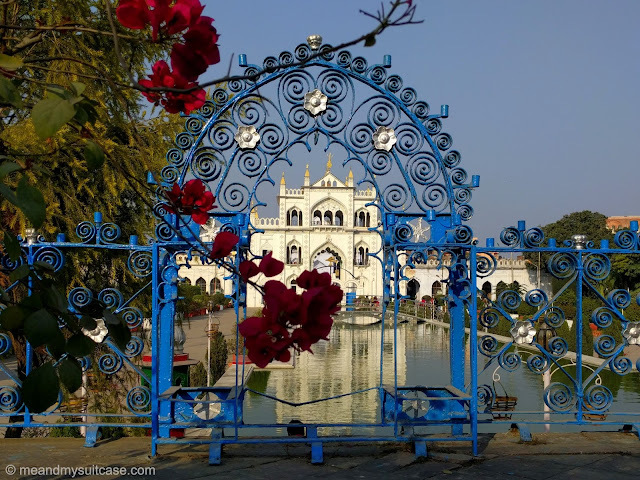 In centre is the chota imambara which is also known as Imambara Hussainabad Mubarak, houses a lot of Chandeliers in the main hall. The exterior is well decorated with Quranic verses. The architecture is again impeccable like Bada Imambara. The tonga-wala took us to a shop where we were given demo of how the embroidery is done. 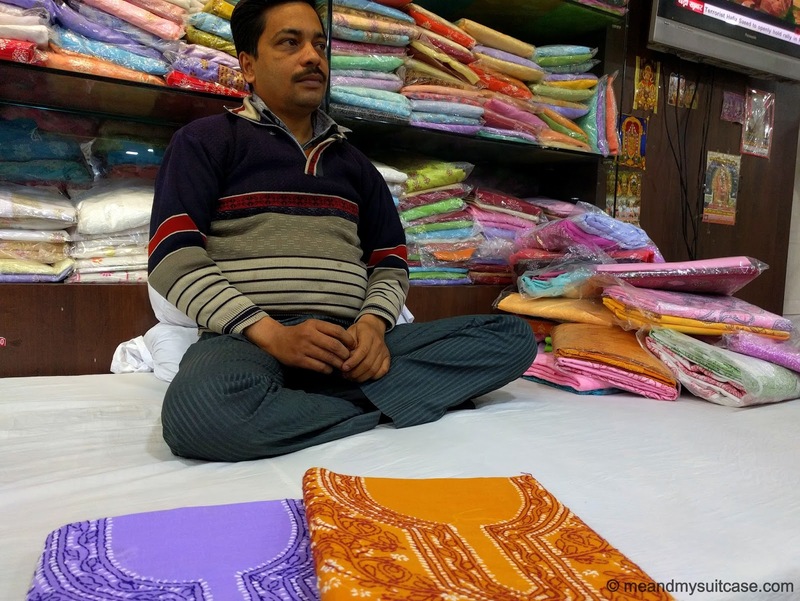 It sure is lot of work which results in the beautiful dresses and sarees. This video shows one kind of embroidery. 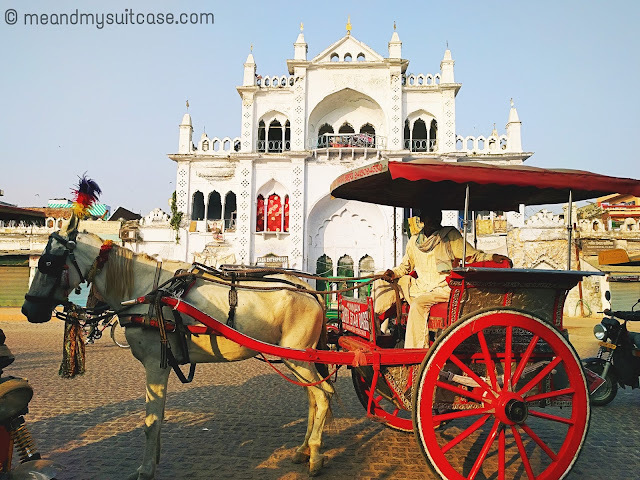 On your visit to Lucknow do take a ride in Tonga, the royal way. 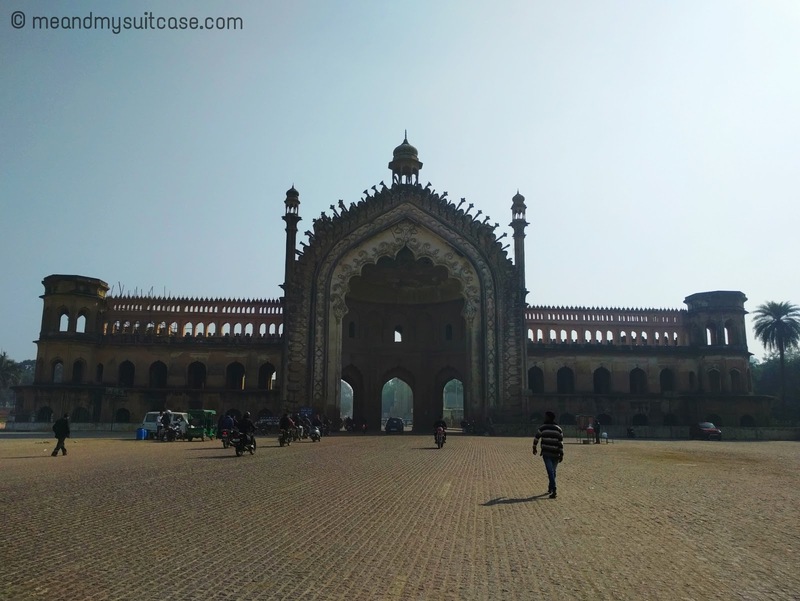 For a ready made 48 hours itinerary of Lucknow, click here. 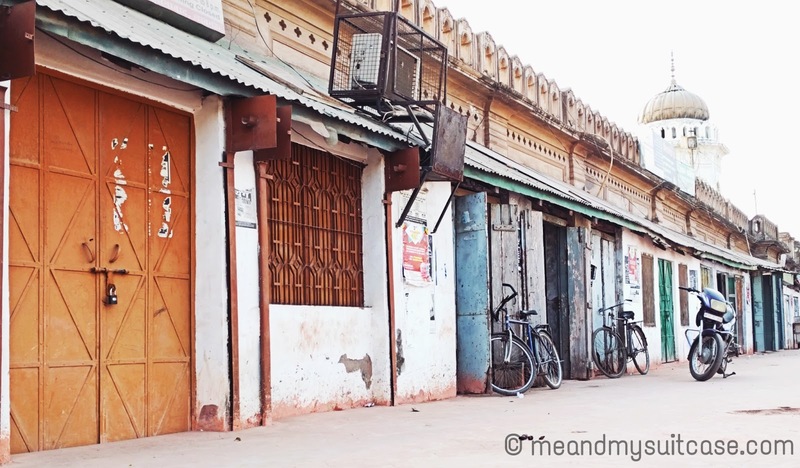 Keep blogging and travelling, Di! Thank you Megha. You shall visit it too. I am sure this is the most efficient way to explore any city. I mean, the vehicle is not only open from four sides, but also from top :-) It is not 'remote sensing', instead going through the city and exploring its body and soul. I think I need to go ...Thanks Stuti for the valuable input. 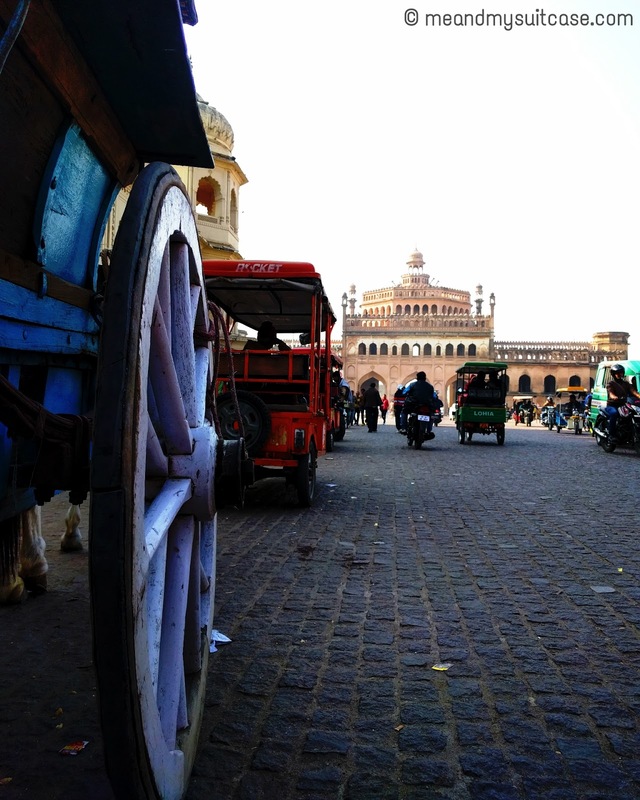 This is one of my favourite part of Lucknow. Rumi Darwaza looks so majestic. I love it even more in the misty winters.